Those of you lucky enough to be in New York right now can see the rare blooming of an Amorphophallus titanum, better known as the corpse flower. The plant's enormous single bloom can reach more than five feet in height and emits a nauseating odor of rotten meat, which can offend sensitive noses more than half a mile away. 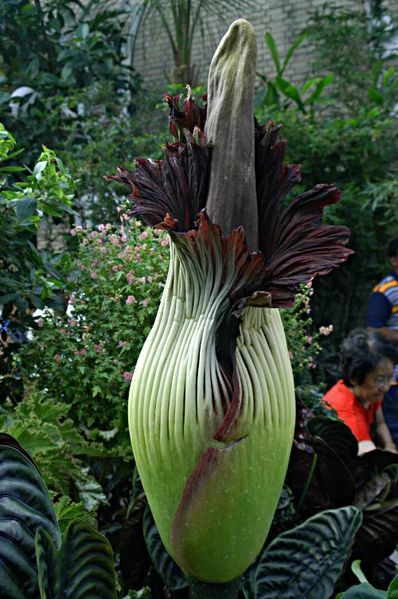 According to the Brooklyn Botanical Garden's website, when the first cultivated corpse flower bloomed in London in 1889, young women weren't allowed into the exhibit because of the plant's "unusual" appearance. If that's not enough to get you to Brooklyn, check out the photos and information online at the BBG's website. (Which I learned the hard way, as usual.) Finding a way into the catacombs that stretch beneath Paris is not difficult. With a bit of luck, a runaway monkey could find an entrance. Finding a way out is the problem. Law abiding types can always take the official tour, which guides you past the past the bones of six million Parisians which are stacked in a tidy fashion in a small section of the subterranean tunnels. An ancient and ominous warning greets all visitors, (“Stop, this is the empire of death.”), but unless you try to leave with a thighbone in your bag, you’re unlikely to end up into too much trouble. Once you’re inside, you may want to keep an eye out for the policemen who periodically patrol the catacombs, but odds are you’ll see no one. There are more than 180 miles of tunnels under Paris, and only a handful of people can find their way around them. Which brings me back to the monkey. Among the many who’ve met their fate in the catacombs was an orangutan that escaped from the Paris zoo over 200 years ago. But perhaps the most famous victim of Paris’s “Shadow City” was Philibert Aspairt who disappeared in 1793. His body was discovered many years later, a few feet from an exit. In his hands was a set of keys that could have saved his life. He was later buried on the spot where he was found. For a picture of his tomb, click here. So now perhaps you’ll understand how it came to be that I got lost on my very first trip inside the catacombs. If you'd like a little more information on Paris's Shadow City, and you can't wait, click here. Otherwise, stick around. Several times in the past week, an enormous manatee has been spotted frolicking in the Hudson River only a few short yards from the coast of Manhattan. A couple of minutes ago, I received an email from my friend and fellow Irregular, DeeDee Morlock, who says she witnessed the great beast as he swam past her townhouse on 106th Street. When she first saw its grey, bloated belly, she almost phoned the police to report a murder. 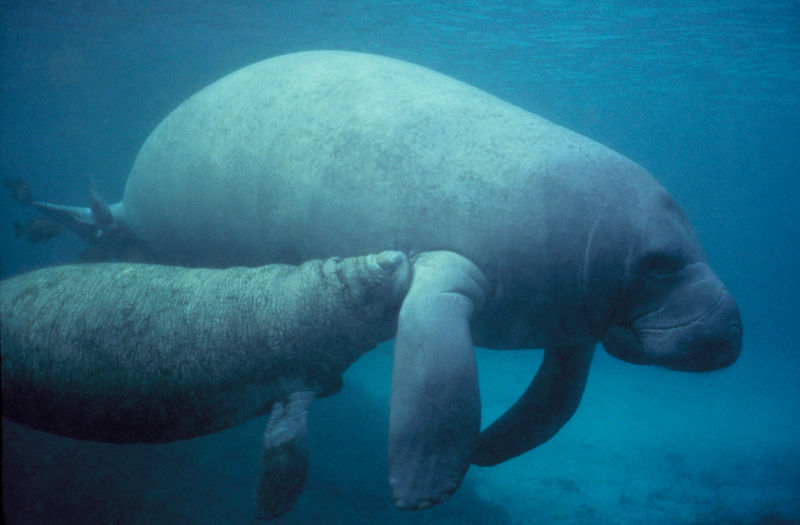 She was pleased to discover it was a manatee, which are far rarer than corpses in the rivers around New York. I wish I had been there to see it!